garden compositions – gardening is a way of showing you believe in tomorrow… By Barbara Wise In all my 15+ years of living in the Nashville area, this has been the loveliest spring yet. Tulips lasting for weeks, Japanese magnolias so loaded with blooms that they resembled pinkish-purple behemoths guarding our yards, azalea bushes ablaze with blossoms, and the dogwood trees were laden with white petals that eventually fell thicker than any of this year’s snow. Shopping Goodlettsville Nestled just off I-65 North, Goodlettsville abutts Hendersonville and Madison, and includes a variety of great home decor shops ranging from antiques and western-themed furnishings to fine furniture, accessories, and more. garden compositions – the purpose driven plants What on earth are your plants here for? “Mommy, I want to grow my own begatubulls!” One of the four year old twins of my co-worker, Yelena Petruk, is trying very hard to talk his momma into dedicating a piece of their beautifully landscaped yard into growing tomatoes, squash, cucumbers, beans, and a number of other edible goodies. Shopping Fayetteville/Lewisburg Fayetteville and Lewisburg, both modest-sized communities east of I-65 South, offer a wide range of home decor and furnishings. Take I-65 South to Exit 14/US 64 and travel east for about 19 miles to the heart of Fayetteville. Park anywhere on or near the square. 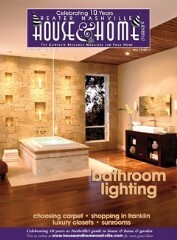 About The Cover: The CandleWall™ pictured on the cover is one way to enhance bathroom lighting. It is achieved using selected stone veneers from Eldorado Stone and can be created in virtually any room, offering the warmth of stone with the glow and dancing shadows of candles set in niches within the structure. 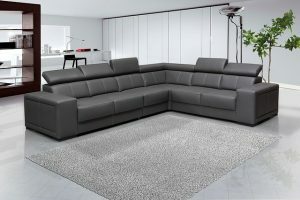 For more information and dealers visit http://www.eldoradostone.com. 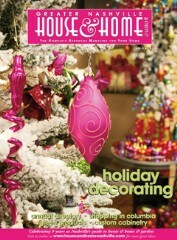 About The Cover: Whether you’re known for your traditional red and green holiday decor or are in the mood to try something a little different, you’ll find the ornaments, faux florals, and everything else to deck your halls at Trees n Trends.